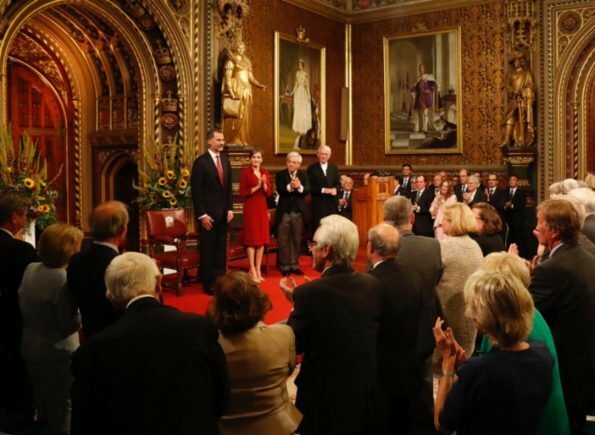 On the first day of their visit, King Felipe VI and Queen Letizia of Spain visited the Palace of Westminster on July 12, 2017 in London, England. 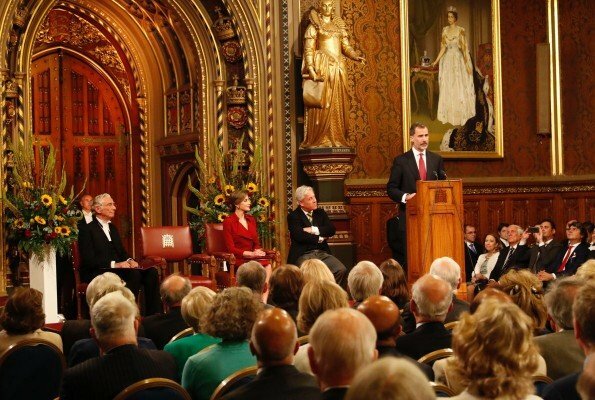 King Felipe VI gave an speech at the British Parliament. King Felipeand Queen Letizia arrived for a three-days State visit to the United Kingdom. 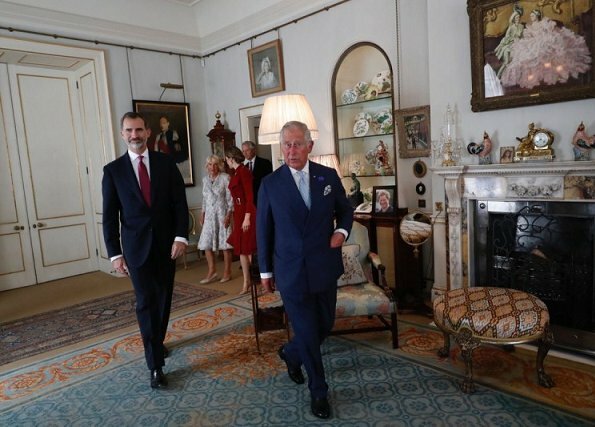 King Felipe VI and Queen Letizia of Spain met with Prince Charles and Camilla, Duchess of Cornwall at Clarence House on July 12, 2017 in London, England. 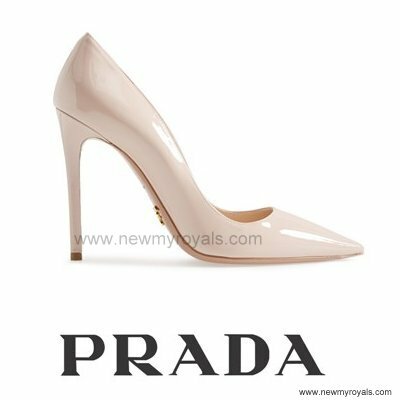 Letizia never forgets how to stand or sit straight and elegant. Beautiful dress, perfectly fitting for the event. Yes, posture is so important, it makes all the difference in the appearance. Letizia has got it, and Vicoria, Charlene, Maxima, Mathilde. Surprisingly some of the younger royals don't, if you think of MM, Catherine, Stéphanie, Charlotte....It is something that can be learned and trained and is good for yout health anyway. Very nice - she always looks good in red. 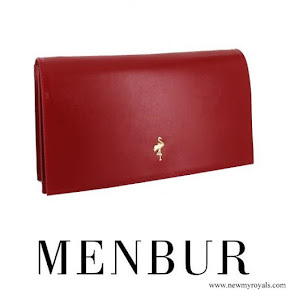 This is a fabulous look, Burberry as a compliment to the host nation, elegant and chic. That red is a great colour for Letizia! 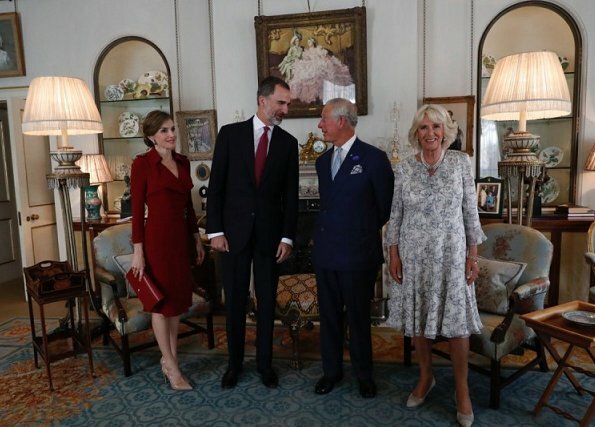 the dress of Camilla is very nice. 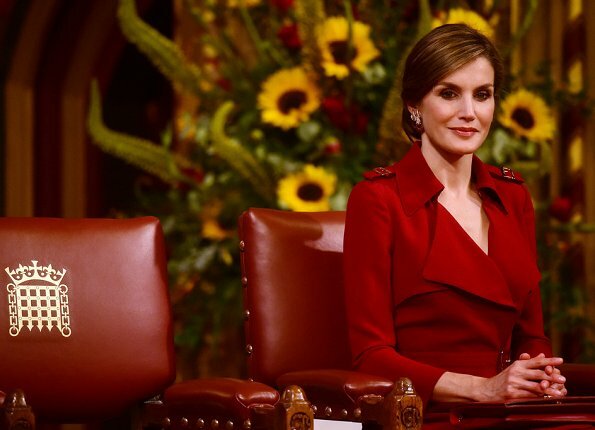 Qué guapa y sencilla está Letizia con ese trench-vestido rojo. Magníficos pendientes y peinado. 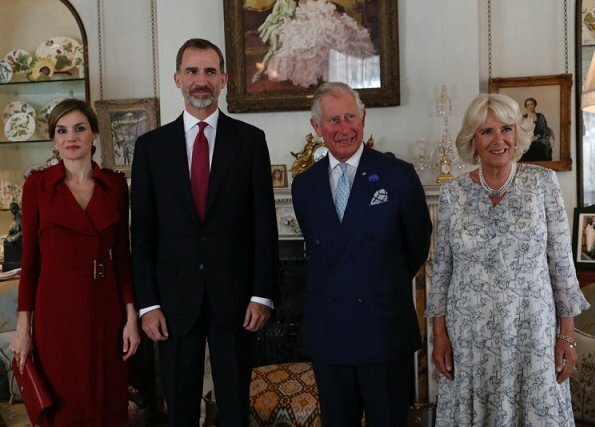 El vestido de Camilla se ve muy agradable y cómodo. Red just makes Letizia look even more beautiful! I am so enjoying her looks on this tour! Love Letizia in red! Great dress and accessories. This trench dress is available in summer sale for 550.- Euros. I would love to have it. Picture 6: Prince Charles is quite bit flirty, isn't he ;)!!? ?